Thank you for visiting the Climate Change page. You will get no argument from me that climate changes. It does so naturally for reasons we still don't fully comprehend. But lately, man-made climate change has become just that - man-made. Patents for Weather science have been issued as far back as the 1940's for what we commonly refer to as "cloud seeding". It became obvious early on that while it was possible to make it rain in one area, it also prevented rain in another. How much has science advanced in controlling weather? If man can affect the path of the Jet Stream can they also produce tornadoes, hurricanes, typhoons, floods, and polar vortexes? Has science advanced to the point of controlling the destructive power of weather to use it as a weapon? Imagine not having to send in the costly military war machine and instead create destructive climate chaos like flooding that would require a nation to borrow billions of dollars for food and medicine for the homeless, repair hospitals and other buildings, roads, and bridges...nuclear power plants. The debt can lead to enslavement of a nation and its' People. Instead of sending in the evil and costly war machine, now they be heroes by offering humanitarian aid. As long as weather control exists, how can we ever know whether a climatic catastrophe was an 'act of God' or whether it was men acting like God? I used to be a denier of man-made climate change. Educate yourself. Your life may depend on it. Genesis 2:15 "The LORD God took the man and put him in the Garden of Eden to work it and take care of it." We all must do our part to take care of mother earth. It is all we have to sustain us. 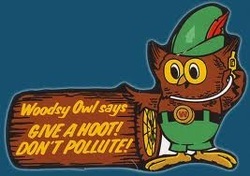 If we pollute it we will only succeed in destroying ourselves. The planet, however, will remain and continue to revolve and evolve. I don't deny that mankind has some impact on the environment but I do not believe what the United Nations and the global banking elites are shoveling. After decades of the United Nations Intergovernmental Panel on Climate Change (IPCC) reporting on how devastating mankind's impact has been on planet earth and how it has affected the planet's climate we are now starting to learn that, although I wouldn't call it a complete hoax, their reporting has been greatly exaggerated. For example, in 1977, Time magazine's cover story was titled, "How To Survive The Coming Ice Age". Did we have an ice age? Not even close. 29 years later Time magazine's cover story was about "Global Warming". Eminent scientists were behind both predictions so who and what are we to believe? believe it before the effects became permanent and irreversible. After all, these reports were written by eminent experts in their field and they had "PHD" and a bunch of other impressive letters behind their name supposedly making them smarter than the rest of us. For me, the great climate debate started turning into Henny Penny's "The sky is falling" nonsense when "Global Warming" turned into "Climate Change" and then started turning into "Climate Chaos". In other words, when their evidence didn't fit their paradigm they had to call it something else. And the great debate seems to keep changing more than the climate depending on which direction the wind blows. The Climatic Research Unit email controversy (also known as "Climategate") began in November 2009 with the hacking of a server at the Climatic Research Unit (CRU) at the University of East Anglia (UEA) by an external attacker. Several weeks before the Copenhagen Summit on climate change, an unknown individual or group breached CRU's server and copied thousands of emails and computer files to various locations on the Internet. The story was first broken by climate change critics on their blogs, with columnist James Delingpole popularising the term "Climategate" to describe the controversy. Climate change critics and others denying the significance of human caused climate change argued that the emails showed that global warming was a scientific conspiracy, in which they alleged that scientists manipulated climate data and attempted to suppress critics. The accusations were rejected by the CRU, who said that the emails had been taken out of context and merely reflected an honest exchange of ideas. The mainstream media picked up the story as negotiations over climate change mitigation began in Copenhagen on 7 December. Because of the timing, scientists, policy makers, and public relations experts said that the release of emails was a smear campaign intended to undermine the climate conference. In response to the controversy, the American Association for the Advancement of Science (AAAS), the American Meteorological Society (AMS) and the Union of Concerned Scientists (UCS) released statements supporting the scientific consensus that the Earth's mean surface temperature had been rising for decades, with the AAAS concluding "based on multiple lines of scientific evidence that global climate change caused by human activities is now underway...it is a growing threat to society." Read more at http://en.wikipedia.org/wiki/Climatic_Research_Unit_email_controversy. Three themes are emerging from the newly released emails: (1) prominent scientists central to the global warming debate are taking measures to conceal rather than disseminate underlying data and discussions; (2) these scientists view global warming as a political “cause” rather than a balanced scientific inquiry and (3) many of these scientists frankly admit to each other that much of the science is weak and dependent on deliberate manipulation of facts and data. 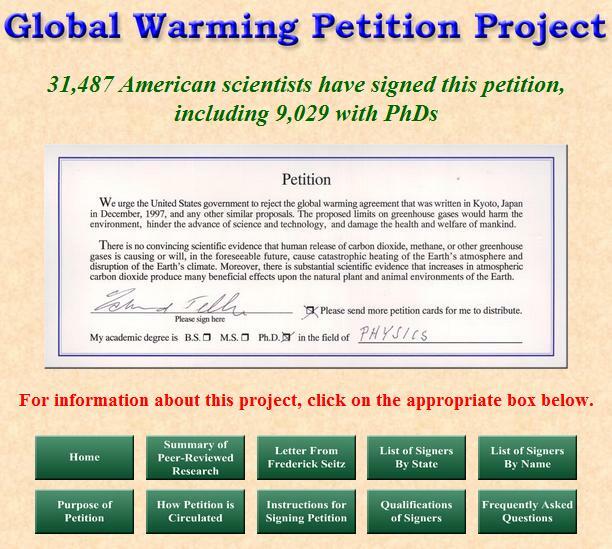 Read more at http://www.forbes.com/sites/jamestaylor/2011/11/23/climategate-2-0-new-e-mails-rock-the-global-warming-debate/. I don't pretend to be the sharpest tool in the shed but it seems to me that there is a direct connection between the sun's solar cycles and earth's earthquake and volcanic activity. Hypothesis: It's a scientifically known fact that our sun goes through an approximate 11 year solar cycle. Solar activity has been increasing over the past several years and is expected to peak sometime early in 2014 after which solar activity is expected to decline over the next several years. The CMEs are also responsible for creating the amazing and beautiful aurora borealis, also known as the "northern lights". “A reversal of the sun's magnetic field is, literally, a big event,” NASA’s Dr. Tony Phillips said in a statement issued on the space agency’s website. “The sun's polar magnetic fields weaken, go to zero and then emerge again with the opposite polarity. This is a regular part of the solar cycle,” Stanford solar physicist Phil Scherrer explained. Both the aurora borealis and its southern counterpart - the australis - are set to become broader, more frequent, and more visible now that the event has reached its final stage. Don't get me wrong. Mankind has a duty to be responsible regarding our environment. Mild environism has turned into extreme environism agitated by eco-terrorists. Ecuador’s Tungurahua volcano erupted at least three times Saturday with a spectacular explosion of ash and rock, sparking some concern among tourists who observed the mountain from a lookout point. erupted three times on Saturday, spewing ash up to 32,000 feet in the air, and prompting evacuations in surrounding towns, Wired.com reports. The eruptions come on the heels of a massive eruption at Indonesia's Mount Sinabung, which killed at least 16 people. Click on image below and you will be directed to the website http://www.petitionproject.org/.